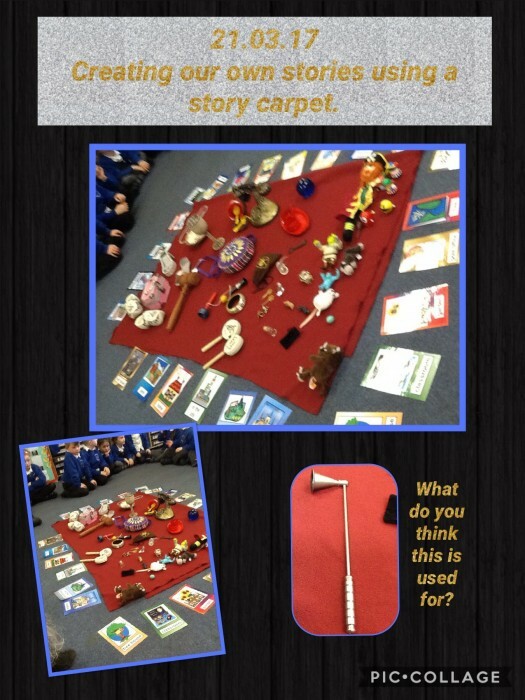 Today we have been creative making our own stories using our story carpet. We should have some amazing ideas by the end of the week to record in our story corner. Some of the ideas have been amazing. They include a magic genie slipper granting wishes; a crystal ball which we can jump into like a time machine, take us where we need to be to rescue people; characters living in a deep dark forest or a haunted house and that is just the tip of the iceberg. The rest of the week looks so exciting! Well done Receptiom!